Are you looking for innovative ways to engage people, build better teams, improve organisational cultures, stimulate creative thinking, improve communication, deliver more innovative results...? the list goes on. If you answered yes, to any of these, then this masterclass is a must. Designed and developed by our Managing Director who has an extensive background in learning & development, training, psychology and of course the Lego Serious Play Methodology, this interactive, informative and engaging masterclass has been designed with training and facilitation professionals in mind but it suitable for facilitators, trainers, educators, HR professionals, project managers, change managers, product designers, researchers, executive / life coaches, strategists, business owners or leaders. In fact, it is suitable for anyone who is looking for a tool to generate changes in behaviour or achieve specific outcomes. Already used by organisations across the globe to engage their people and their teams, unlock their potential and to get them thinking more creatively, communicate more effectively and deliver more innovative results. 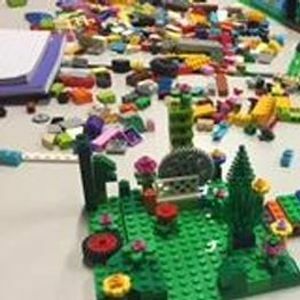 The Lego Serious Play methodology is an innovative workshop method developed by the LEGO Group in order to change the 'business as usual' dynamic. Participants are led through a series of engaging LEGO building activities designed to explore a specific group topic or solve complex problems. Each participant builds his or her own LEGO model in response to the facilitator’s questions. These models then serve as a basis for group discussion, knowledge sharing, problem solving and decision making. Ready to become a Lego Serious Play Facilitator? 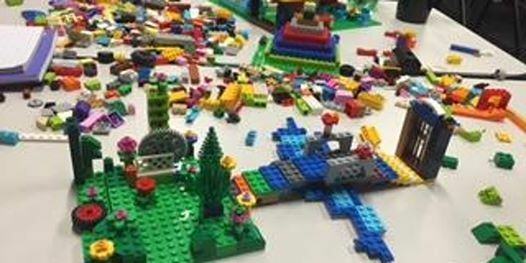 In this 1-day hands on workshop, you will learn how to facilitate workshops using the Lego Serious Play methodology to solve real problems and improve communication. You will learn the structure, process and science of the method in an experiential way. Facilitation is key to the success of the methodology, subsequently this training also includes facilitation tips that will set you apart from other facilitators. Upon completion of this training, you will be able to design and deliver workshops for individuals and teams, customising the method to your needs. Be warned: This workshop is not for the faint hearted - its non-stop serious play with purpose! 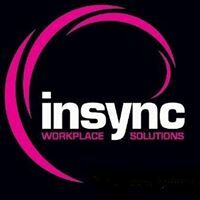 At Insync Workplace Solutions, we love the LEGO brand and the LEGO Serious Play methodology, so we are extremely respectful of the LEGO Trademarks and we work with Lego to ensure the LEGO and LEGO Serious Play brans remain strong and are not compromised in anyway.